Pebble may have started out as a smartwatch for early adopters, with its bare-bones design and an open software platform, but recent iterations of Pebble show that the startup is trying to appeal more to the masses. And its latest software update is another step toward that. Today Pebble is rolling out a new, free health-tracking system called Pebble Health, adding native step counting and sleep tracking to newer Pebble smartwatches (every watch except the Pebble Classic and Pebble Classic Steel). Previously, you could run a version of a third-party app, like Misfit or Jawbone Up, to get a glimpse of your activity levels on Pebble. Now Pebble clearly wants to own the experience, at least to a point. The app will share the data to Apple’s Health app and Google Fit, where users can get a more granular view of their health data. So what will make Pebble’s own health-tracking experience any different from the many, many other options out there? 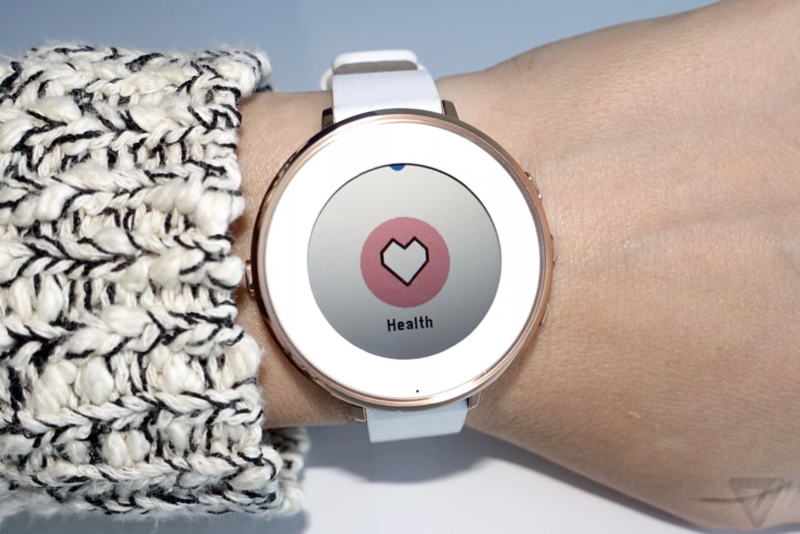 And why should you trust Pebble with your health data? The partnership with a research lab naturally brings up questions of privacy around health data, but Pebble says Stanford's lab won't have access to Pebble user data; just that the algorithm itself will be public, so it can be used and tested in an unbiased environment. Pebble is also veering away from the standard "10,000 steps" mantra in wearables. The Pebble Health app adjusts daily goals based on how active you’ve been previously. A week-long graph within the watch app shows how much you've moved or slept the day and week before, pitting you against your own earlier activities. And there’s the promise of integration with Timeline, Pebble’s scrolling calendar interface that was introduced with the Pebble Time and is now available on all Pebble watches. The Pebble Health app will, for example, pin an ideal time for you to get some steps in, based on the meetings scheduled in your calendar. The idea, then, is not just to track what you’ve already done, but to tell you when to do things in the future. Lots of other wearables have tried this before, but most solutions have been half-baked. But it’s way too soon to assess what the long-term value of using Pebble Health is compared with other activity-tracking devices, if any at all. It’s very much a work in progress. Pebble is still working out how to display health info in its own mobile app, so for right now, sharing data to Apple Health or Google Fit is the only option for viewing it on mobile. And third-party developers currently can’t take advantage of Pebble Health and build their own apps or widgets for it (read: no way to see Pebble Health steps directly on a smartwatch face). Pebble says that it will release a new version of its software development kit in January that will enable this. This also isn’t the kind of health app that’s going to track workout sessions, so people interested in tracking dedicated workouts will find this to be an incredibly lightweight app. On the other hand, Pebble is one of the few smartwatches out there that doesn’t need to be charged every night, so it's well positioned to become an ideal sleep tracker — assuming it’s accurate enough over the long term. You also don’t need to put the watch into any kind of sleep mode for it to interpret sleep. 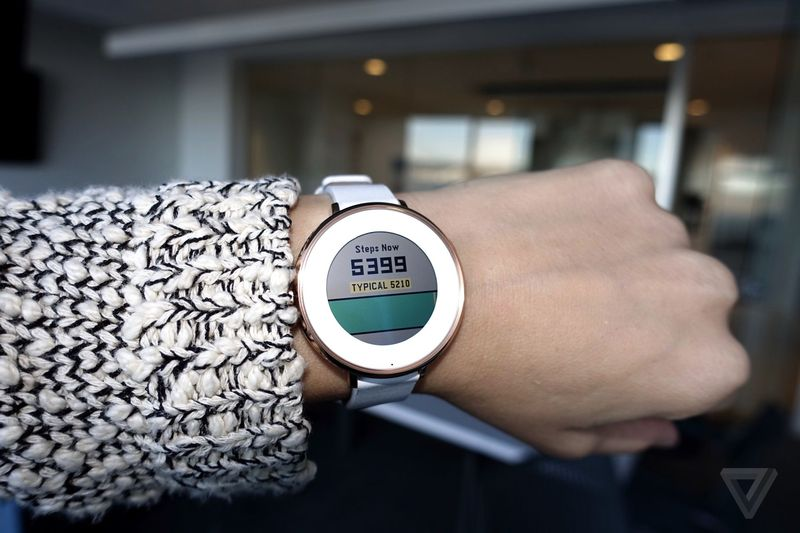 For Pebble, which has faced increasing competition as every company and its parent company makes a smartwatch, the idea is to keep users using their Pebbles. Founder and CEO Eric Migicovsky says Pebble has what he believes is "probably the best retention rate in the field of wearables," and that the company is "obsessed with retaining users." Pebble Health is clearly another attempt at not losing people to competing feature sets.